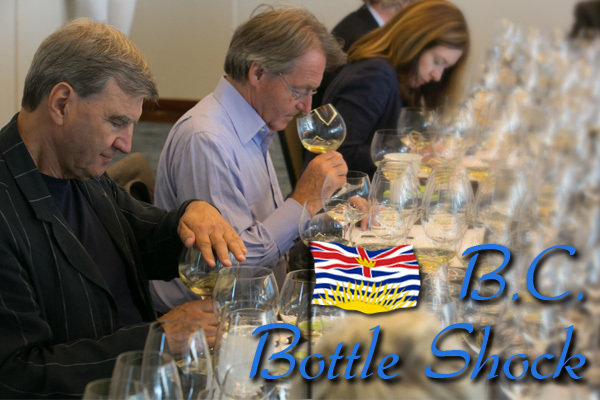 As the vineyards in British Columbia continue to mature with a history of vintages behind them it is educational to check out their performance. Pinot gris followed by chardonnay for whites and merlot chased by pinot noir for reds lead the way in the most planted varieties. I continue to be impressed by the success and progress being made by pinot noir. Since 1971 the Mavety family (Ian, Jane, Matt & Christie) of Blue Mountain Estate (www.bluemountainwinery.com) overlooking Vaseaux Lake in the Okanagan has led the way now with continuous grape production of over 40 years and consistently producing such elegant outstanding pinot noir (4 clones) vintages with age ability and always of tremendous value for the quality. 2004: Harvested October 10 at 2 tons per acre (lower 5.55 acid & 3.92 pH) with a 3 day cold soak with 100% new Francois Frere oak barrels of Allier & Nevers medium +medium plus toast for 16 months at highest alcohol of 14 bottled July 2006. Still alive with an almost DRC enticing oriental spice bouquet. Exquisite. 2005: Also 100% new oak but eliminated the Nevers using 80% Troncais & 20% Allier. Maturing but solid elegant fruit with acidity still there. Pure. 2006: Balance and elegance a trademark. Hahn Vineyards on their helpful Pinot noir clone wheel describes Dijon clone 115 “as adds aromas of black cherry, anise, leather and rose” and you have all those elements there. Interesting that in the early days respected Swedish wine writer @anders_levander tried the 2006 (90), 2007 (92), and 2008 (93) giving them high marks and very complimentary comments! 2007: Crop level 1.8-2 ton/acre with 33% whole cluster (acid 6.3 & 3.83 pH) and 6 day cold maceration, different yeasts, manual punch down over 14 days with still 100% new Francois Frere 80/20 and bottled unfiltered May 2009. Cherry raspberry floral spice with good layers of more powerful silky textures with length. 2008: Cooler year with harvest starting October 28. Mix of destemmed and whole cluster at 28 hl/ha cold macerated 5 days. Yeasts, punch down and oak the same as 2007 but acid higher at 6.63 and pH lower at 3.62. Levander in Livets Goda article said ” darker than previous vintages” and so “elegant and aristocratic” with “complexity and finesse”. Now shows more blackberry plums combining well the power and elegance you admire in a classy pinot noir with a subtle earthiness. 2009: 33 hl/ha harvested October 9. Compensated for the extreme heat of the year with more leaf coverage to protect the fruit resulting in a surprising lighter colour than the cooler 2008. Manual punch downs 3 times a day extended between 14-21 days. Like the earthy forest floor with excellent fruit in a restrained elegant complex presentation. No rush. 2010: Cooler year but another success. As the vines are getting older and growing deeper the clone 115 expression is becoming less obvious and the minerals and terroir of the specific Naramata Bench site are more prominent. Impressive. 2011: Again cool with 28hl/ha harvested October 27. Acid 6.78 and pH 3.56 and oak barrel time extended to 18 months. Bottled October 2013. Harmony amazing for such a cool year. More red fruits but classic earthy elegant dry style. Super food wine. 2012: Facing west with more sun and good weather in 2012 the resulting thicker skins delivered a real treasure here. Picked October 26 with higher acid 6.93 & lower pH 3.49 which is promising for the future. Like the balance of darker fruits with lively acidity plus special bold smooth rounder tannins. A winner! Highly recommend cellaring. 2013, 2014 & 2015 are all very encouraging vintages too. Burgundian structure combined with special New World exuberance. What a property to follow and collect. World class! 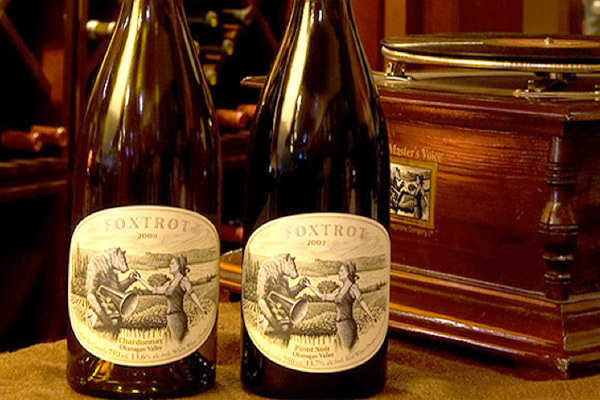 Have you tasted any wines from Foxtrot Vineyards?